1. You can apply for a tourist visa purely online. This means you can execute everything online: from the application, to the payment, until receipt of visa grant. You don't need to personally submit your application and documents, appear for biometrics scan or submit your passport for stamping of the visa. The visa grant is emailed to you. 2. If your documents are complete, your visa may be issued as early as 3 days from submitting your application. I submitted the visa application on a Monday, we received the grant letter by email 3 days after, which is on a Thursday. 3. If you answered yes to any medical question, you will be required to undergo a health assessment in any of the panel of physicians accredited by the embassy of Australia. I underwent my health assessment at St. Lukes Global City. The results was uploaded to my account a week after completing my health assessment. The visa officer issued my visa grant next day. 4. Depending on your circumstances, the Australia embassy can give a multiple entry tourist visa valid for one year from date of issuance. From other blogs, I read that the Australia embassy usually issue a 6 month multiple entry tourist visa. So they usually advise you not to apply for a tourist visa earlier than 6 months from the date your tour ends. But if you have sufficient documents to justify giving you a one year tourist visa, they do give out a one year tourist visa. My advice, therefore, is to furnish them as much evidence as you can to show that you are a legitimate tourist, that you have sufficient ties to your country that will make you return, and that you have enough funds to visit Australia multiple times. After completing the application form, they only tell you to that the required documents to be uploaded are: (1) passport data page (where you have your name and other information displayed), (2) passport photo, (3) proof of travels to other countries such as visa and stamped pages of expired and valid passports. But i furnished them with other documents too, especially financial documents. STEP 1. Identify the visa class you are applying for. If you are going to Australia as a tourist, you should be applying for Visitor Visa (subclass 600). STEP 2. Get an email address. You need have an email address. This is where the visa officer will send all communications and the visa grant letter if and when they issue you a visa. STEP 3. Open an ImmiAccount. An Immiaccount is your online account with the Department of Home Affairs where you can apply for a visa online. 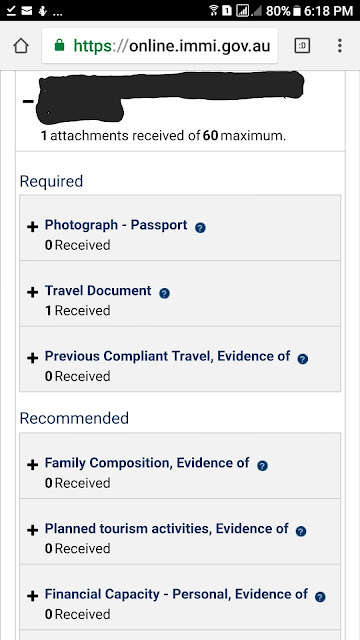 It allows you to fill up the application form online, upload the documents to support your application, pay the visa fee and track the progress of your application. You can open an Immiaccount at https://online.immi.gov.au/lusc/login. 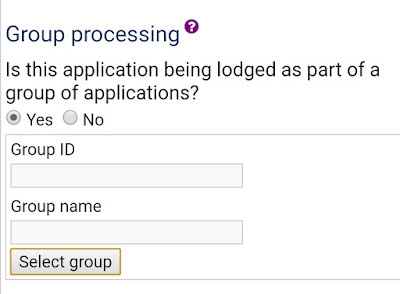 If you will travel together in a group, such as a family or friends, you can process your application together by indicating that you wish to have group processing. 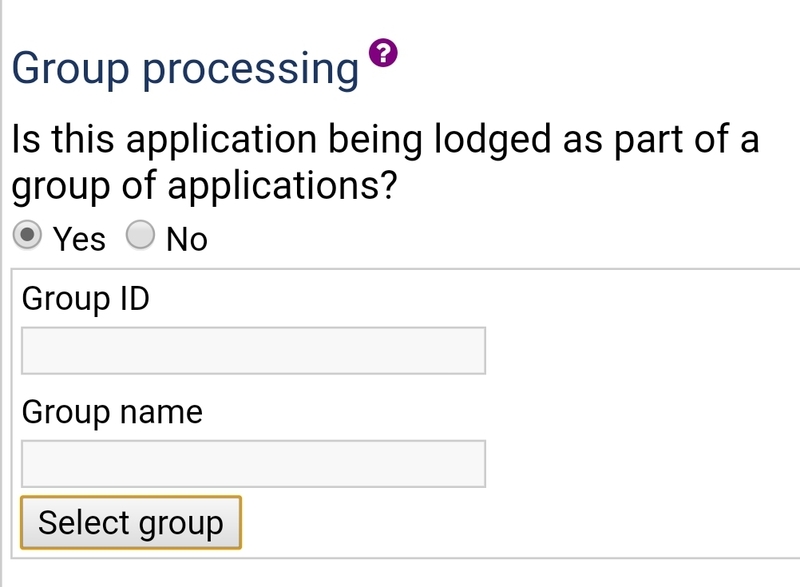 This means you can log in at one account and submit your application through that one account. STEP 4. Fill up the application form. The application form is around 14 pages long so you can do it in a span of several days. Just remember to save what has been filled. You can edit any information that you placed in the online application form as long as you don't click SUBMIT. Since I plan to travel to Australia multiple times, I placed 2 travel dates: one 2-week visit in Melbourne and on a different date, another 2-week visit to Sydney. STEP 5. Gather your documents. I requested a soft copy from Great Image so I can upload it to my Immi account. Certificate of employment, or your husband or wife's certificate of employment if you are unemployed. If you're submitting your husband or wife's certificate of employment, you need to submit a copy of your marriage contract. Other evidence to show where your income is coming from. STEP 6. Scan your documents and give it a title. You need to give your documents a name like bankstatement.jpg instead of sticking with the number it is automatically assigned after scanning like 2024.jpg. It will be easier for the visa officer to make sense of your documents if it's already described in the title of the file. STEP 5. Upload your documents under the appropriate heading or category, as shown in the photo above. You are limited to uploading only 60 documents. STEP 5. Read your application again before submitting. Remember that when you click SUBMIT, you cannot edit your application form anymore. STEP 6. Submit and pay the fee online. The fee is 140 AUD + 1.37 credit card surcharge. STEP 6. Wait for the results by email. If the visa officer does not request further information, he will email the result 3 days after submission of the application. In our case, my husband received a visa grant 3 days after submission of the application form. He was given a 1 year multiple entry visa. In my case, I was required to get a health assessment, which I immediately did, so that a week after my husband received his visa, I received mine too.